Ultra low cost carrier Sun Country has been making huge waves with their nonstop service between Portland and Honolulu, Hawaii! Sun Country tickets only include luggage that fits under the seat in front of you. 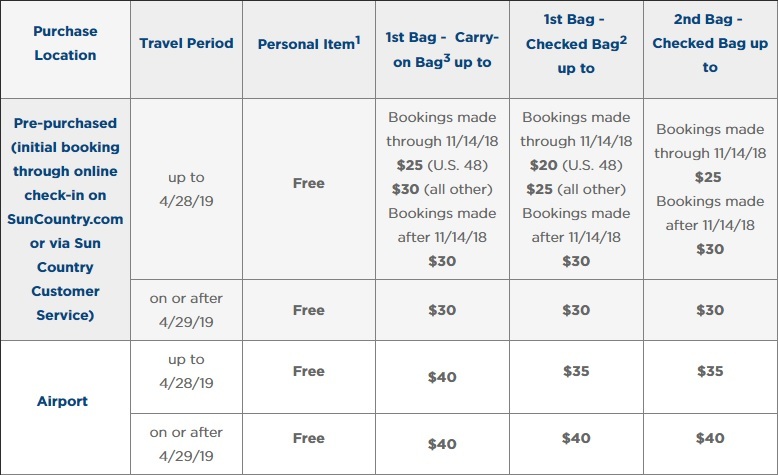 Make sure to check out prices for normal sized carry on’s and checked bags and prepay on their website before getting to the airport. It’s Hawaii though, so just pack light and coast on into tropical Honolulu with this crazy frugal fare! Select dates in early May. Use ITA Matrix Software to locate the cheapest dates. Book direct through Sun Country for the frugal fares!